art arts art exhibit kentucky louisville | K. A. S. Art Gossip! I find the surroundings of an object also play into the mood of a painting. After changing my palette from vibrant blue skies, to autumn colored sunsets, and then to stormy skies I found that this alone changes the mood of a painting quickly. When painting an object I try to depict what it is that attracted me to it and how I feel through light, line and color. Much of the time I am drawn to bright, vibrant colors but subtle colors also have their place on my palette. These color variations are what have kept my visual walk through life from never tiring. It is very challenging to try and paint a color’s mood. Color gives off an array of emotions and can influence the way a person perceives it. 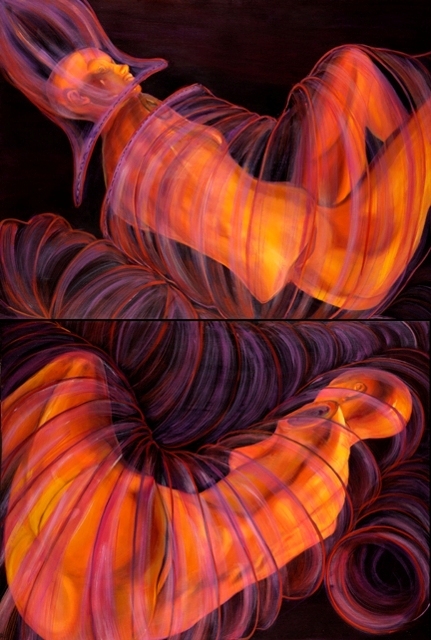 As a painter I have tried to create abstract images that speak loudly through the use of light, line and color. My images are formed from what I feel strongly towards. I hope that by creating these images that they have become frozen in time long enough for others to enjoy nature’s visual journey. Last week, Mark Lenn Johnson came to F.A.T. Friday and stopped by K.A.S. Gallery to see the Botanical art exhibit. 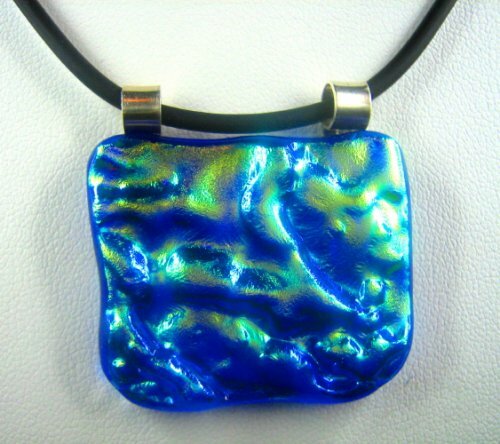 While chatting with him I discovered he is an amazing artist and has been spotlighted in Bead Style and Polymer Clay magazine. Mark Lenn Johnson’s work is represented in several retail galleries in Kentucky also; he has participated in numerous art shows. Born in Lexington, Kentucky, Mark Lenn Johnson realized his passion for glass after purchasing a vintage amethyst carnival glass bowl. 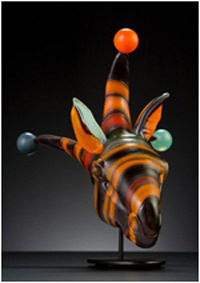 That piece, particularly its color, captivated him and introduced him to the beauty of handcrafted art glass. Several years later, that appreciation would materialize into an antiques business where he specialized in vintage art glass and costume jewelry. 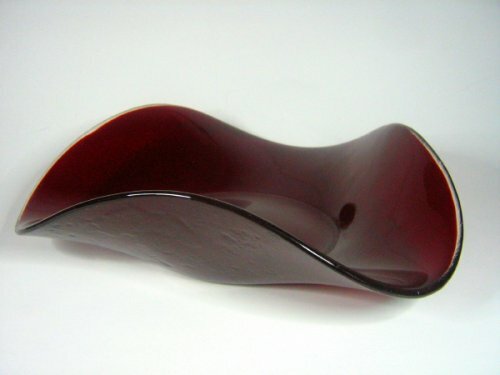 He continued to educate himself about art glass and jewelry but always his creative nature called out for him to make. Succumbing to the calling a few years later, he started his own handmade jewelry business–initially stringing purchased glass beads for his bracelets and necklaces and then evolving into actually making his own colored beads from polymer clay. He garnered some notoriety in the medium after being published in a number of national publications but making glass was still the siren’s call to his soul. Now through Aug 31, 2 for 1 sale. A closing reception for the Generations Art Exhibit will be held this Friday, July 30th at 6:30 p.m. at Louisville’s Mellwood Arts Center. 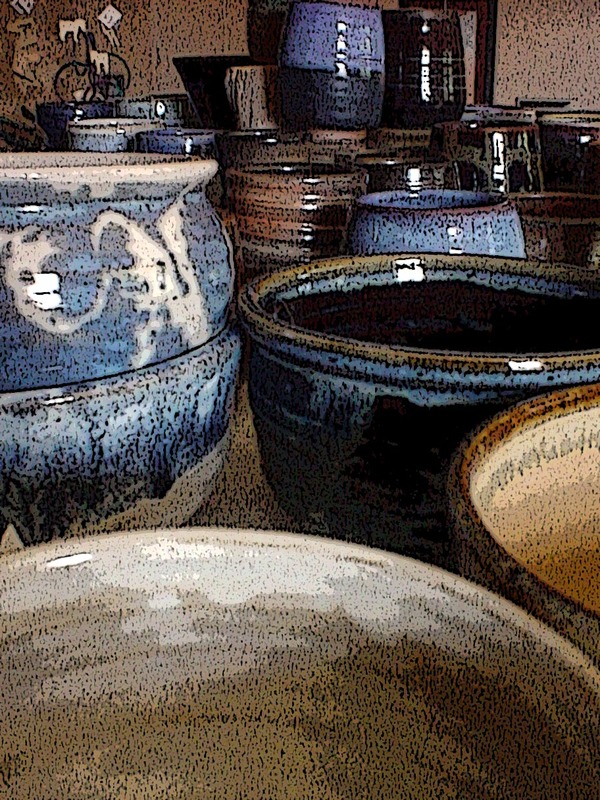 The art exhibit host art of all mediums from all over the U.S.